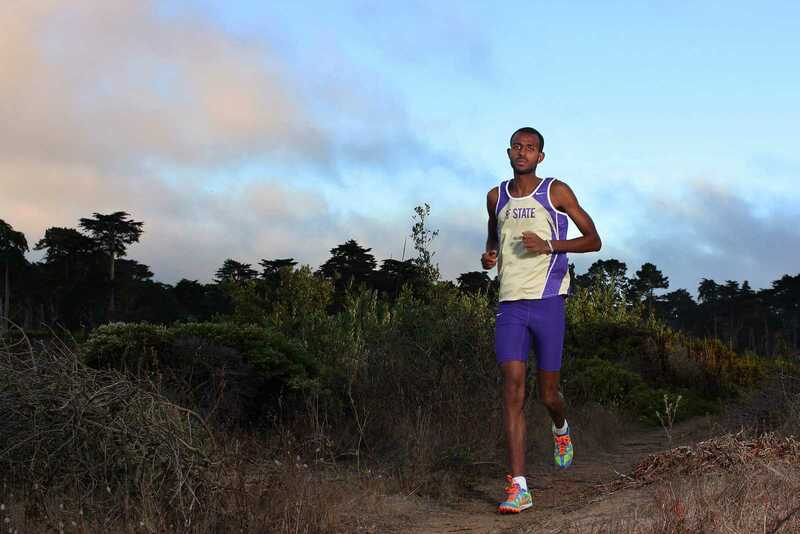 SF State’s top cross-country runner, Bruk Assefa, went back to Ethiopia — his homeland — over the summer, and did what few people experience in their lifetime: train with an Olympic gold medalist. Assefa, the senior business administration major, admitted he was nervous the first time he ran with Haile Gebreslassie, a two-time Olympic gold medalist and owner of 26 world records. Assefa hopes his hours training with Gebreslassie’s crew of professional runners will prepare him for the season to come. “To run with the other guys was pretty tough because they are amazing,” said Assefa. 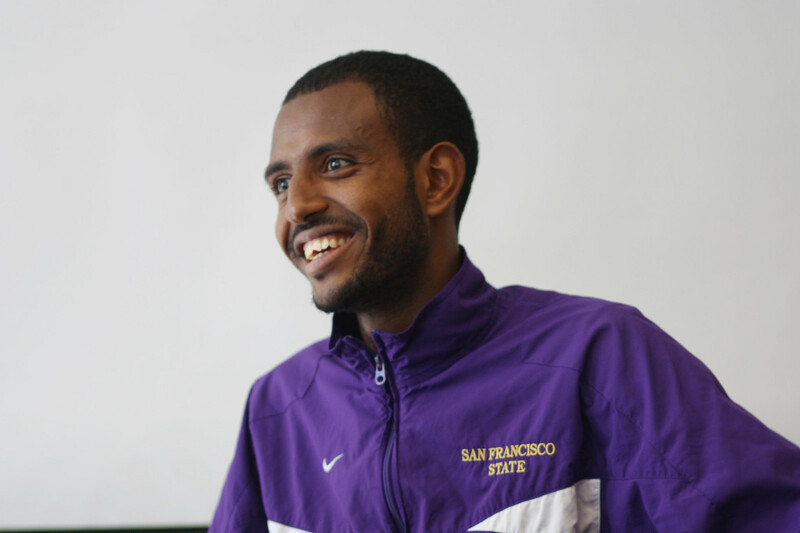 Assefa returns to SF State for a fourth year after a successful 2012 season. He finished every meet he participated in with a top ten time — except at the NCAA Division II Championship, where he placed 45th out of 245 runners overall. Besides his impressive times, Assefa won the All-CCAA Performance Award at the CCAA Championship last October in La Jolla, Calif. and the All-Region Performance Award at the NCAA Division II West Regional Championship in Kahuku, Hawaii. Fellow cross-country runner Ryan Woods who, with other teammate Ryan Chio, visited Assefa in Ethiopia. Although Woods and Chio didn’t get to train with Gebreslassie, they got to sit down and talk with the running legend. “He is (Ethiopia’s) Michael Jordan, Wayne Gretzky, Derek Jeter. He’s a big, big name,” said Woods. The trails Assefa would take with Gebreslassie and his running crew were challenging. “12,000 feet (or 2.3 miles) and through the forest,” said Assefa. But that wasn’t the only challenge he faced. The trip home also meant a family reunion — Assefa got to visit his father while visiting — but Mr. Assefa enforced a strict schedule for his son. “He made me run for a month and a half,” said Assefa. His daily routine while home, he said, was to run, eat, sleep and run. Woods, a senior accounting major, invited Assefa and Chio to his family’s home in Hawaii last summer. This year, Assefa returned the favor. “We tried to plan most of our days around running, and (tried) to get really high mileage while we were in altitude,” said Woods. It is much more difficult to run in terrain with higher altitudes, like Ethiopia, compared to places with lower altitudes. So, the returning Gators running trails around sea-level San Francisco will breathe a little easier after their high-altitude training. “It was fun running everyday, but at the same time exhausting because of the high altitude,” said Chio. But for Assefa, the trails in San Francisco have more to offer than a lower altitude.